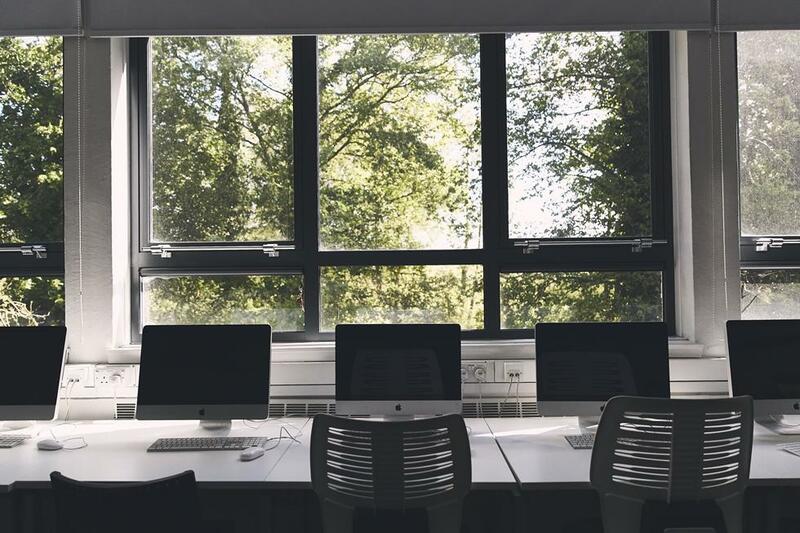 At Winchester School of Art we continually investing in our extensive facilities, allowing us to ensure we are proactively meeting industry-standards and preparing you for a creative career after your studies. Mac/PC Suites: Our high-spec machines have the latest industry standard software and allow you to easily work across disciplines, from video editing to 3D modelling, or design for both print and digital. Software includes the complete Adobe Suite, Maxon Cinema 4D Studio, AutoDesk Maya, Apple Logic Pro, Unity, Zbrush, Blackmagic DaVinci Resolve and DragonFrame. Photography Suite: We have two professionally equipped photo studios for producing still images, a copy studio for producing high quality images of 2D work, up to 1.5mx1m, in addition to a large editing suite with high-end Macs and relevant photo-editing software. Both the photo studios and copy studio are available for booking by students on all programmes, once inducted. Video Studio: Our dedicated video studio is equipped with Arri Bi-Colour Skypanels and an Arri 650plus for tungsten Fresnel lighting. Available for booking by all students once inducted, the video studio allows professional video production, supported by our specialist video technicians. Fashion students might choose to produce a catwalk style video, fine artists a video installation piece or games designers a green-screen video to support their work. Media Stores: This service provides equipment loans to students at WSA, in addition to support and technical guidance; our media stores technician will help you find and use the best equipment for your studies. We have a range of DSLRs, digital cameras, digital video cameras, film cameras, lenses for Nikons, Canons, Phase One Lenses and Cine Lenses, flash equipment, light meters, tripods, TVs and displays, projectors and media storage/playback equipment in the stores. 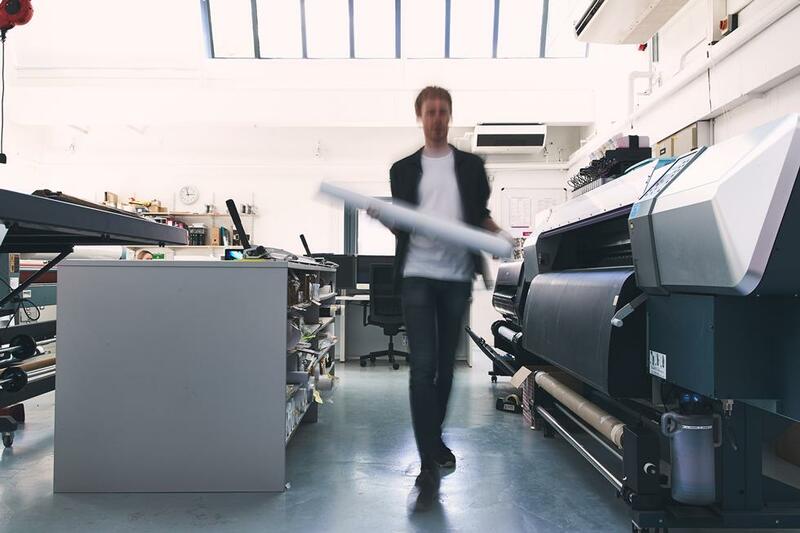 Creative Services Centre: The CSC allows students from all programmes to submit artwork, via an online system, to be printed or treated using our specialist printers and equipment. The CSC houses large format printers, a flat-bed printer, laser cutter, 3D printer and scanner, t-shirt printer, Mimaki fabric printer and dry mounting. The CSC is supported by specialist technicians who are on hand to provide expert advice and guidance and enable you to produce professionally finished work. 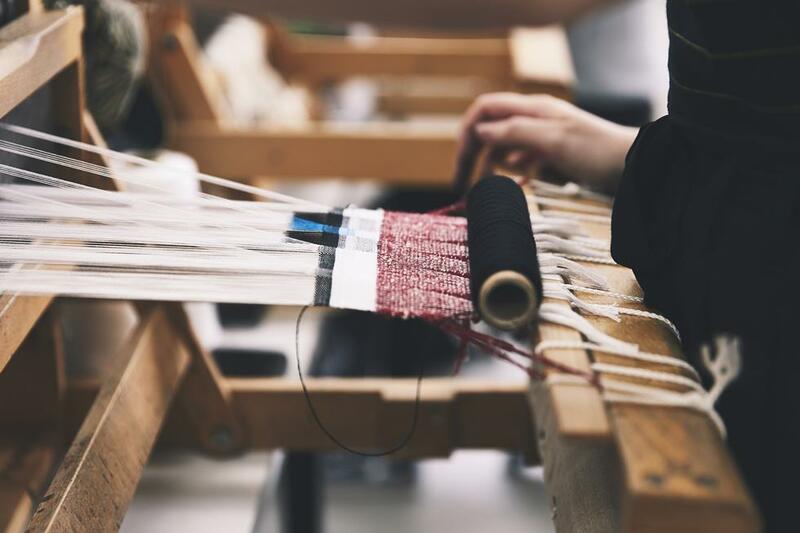 Fashion Workshops: Our Fashion Designers have a range of Industrial sewing machines, multi-thread overlockers for woven and knitted fabrics, professional dress stands for menswear and womenswear, in addition to fusible presses and vacuum presses. Knitwear students may use our computerised Shima Seiki knitting machines, across three gauges, in addition to a range of Dubied knitting machines, linkers and manual knitting machines. 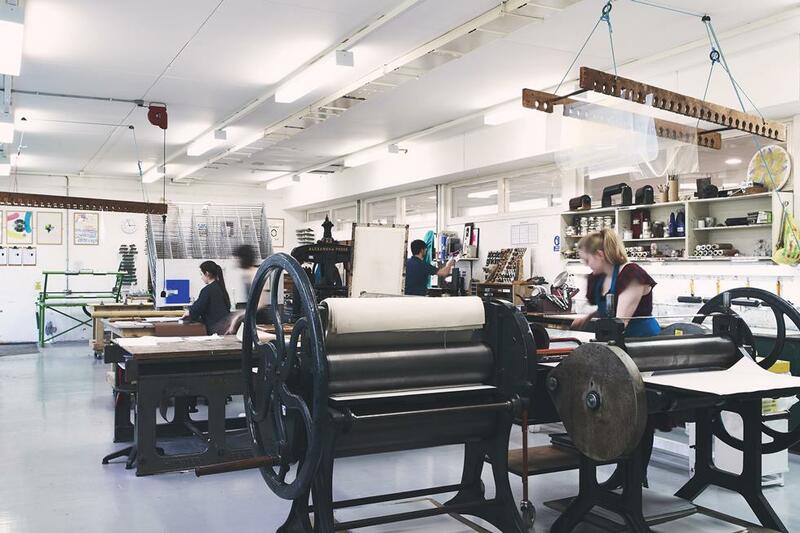 We have dedicated print studios for Printed Textiles students, which facilitate a range of processes and techniques used in printing for fashion and interiors. There is also a Mimaki digital printer, heat-transfer printer and large hand screenprinting tables, with adjoining screen exposing rooms and a dedicated dye lab. Woven Textile students have access to a Jacquard loom, a variety of computerised AVL dobby looms and manual table looms. 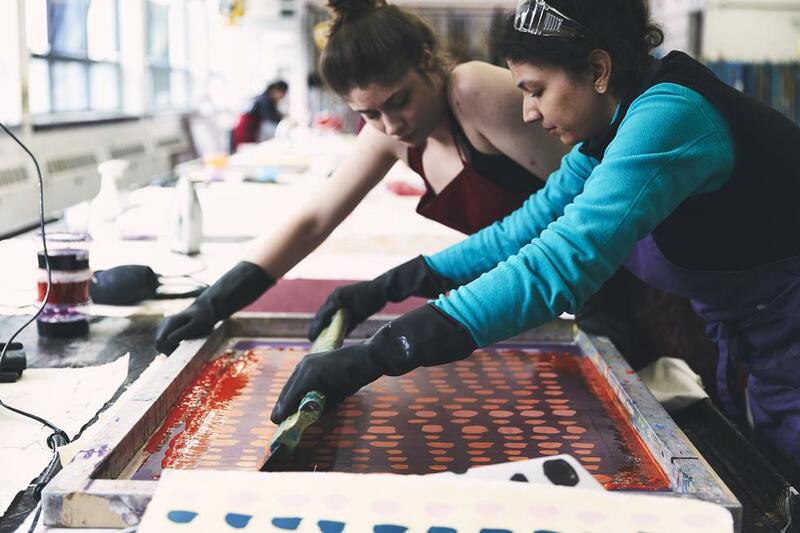 Fine Art Workshops: Our Fine Artists may use printmaking studios which include industry standard screenprinting beds and equipment, an Alexandra relief press for Lino and woodcut prints, Adana hobby letterpress printing machines and etching presses. The sculpture workshops include a working bronze foundry with ceramic kilns, a metal and plastic fabrication shop and a woodshop, in addition to digital object production supported by two 3D printers and a 3D scanner.